dOES THE LOCH NESS MONSTER EVER GET LONELY? The Bee Bee is an export version of the Certotrop, sold in the U.S. by Burleigh Brooks (hence the name Bee Bee). 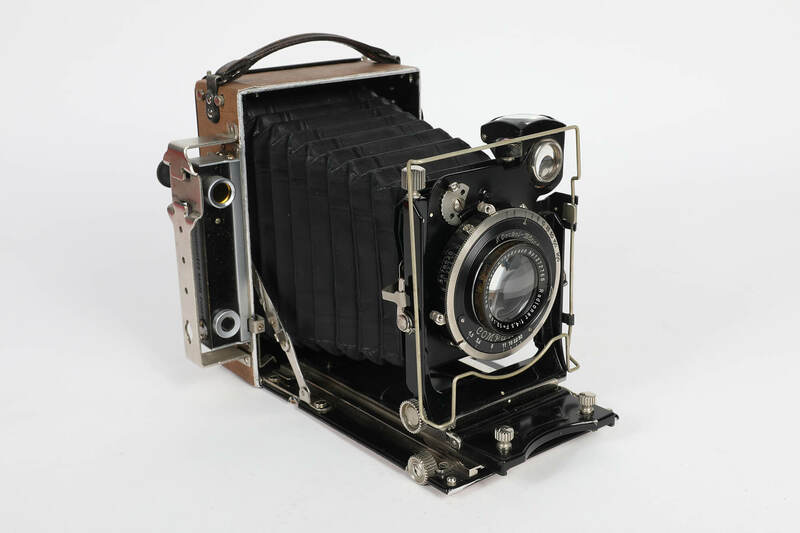 It's a folding camera for use with film packs, cut film, and plates. It's made of metal with a leather covering. 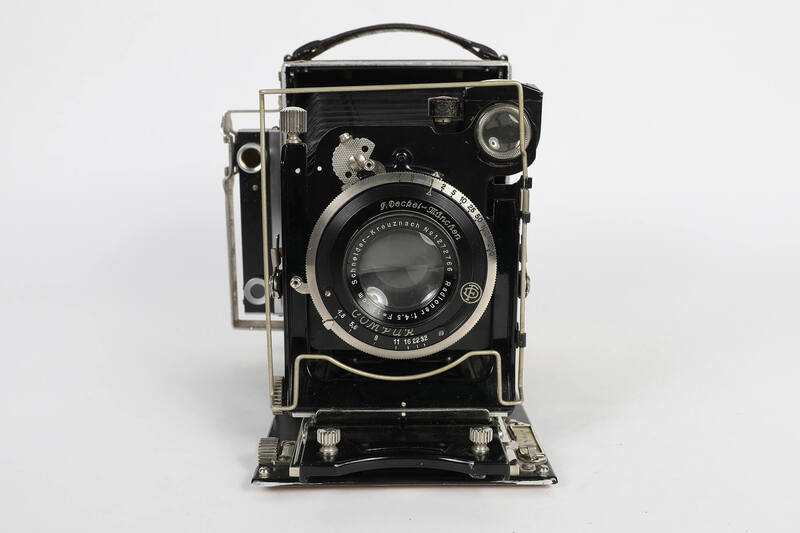 The camera was made in Germany by Certo, in the 1930s. Thank you to Tony Prieto for taking these photos and bringing in this super rad camera for us all to play with and check out. It's a real gem! 1. You'll need to fill two trays of water, one warm with warm (not hot) water and one with cold water. 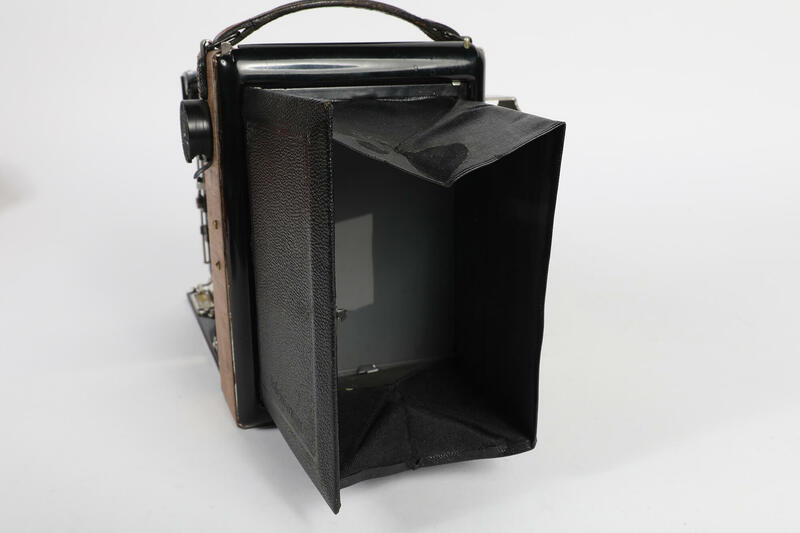 You'll also need one exposed Polaroid. 2. With a sharp pair of scissors you'll need to cut off the white border from the Polaroid. This will allow access to the emulsion. 3. Peel the image from the backing and remove the front plastic layer. 6. Once you've gotten the image positioned where you want it, it is time to move the whole project into the tray of cold water. 7. Now that your image is in cold water you can continue to use the watercolor brush to position your image exactly where you want it. 8. When you feel like you've got it how you want it you can take the image out of the water and hang it up some place safe to dry. We will randomly select one person to win a free 35mm point and shoot film camera. 1. After taking your photo and waiting for the correct amount of time, proceed to peel apart the film from its backing. Be sure to place your print somewhere safe as it will still be wet from the processing chemicals. Do Not throw away the peel apart backing, that is the negative, place it somewhere safe as well. The negative portion will be very wet from the emulsion chemicals, try not to place it on a porous surface. 2. Now that you have your negative you’ll want to peel off the paper borders surrounding the image. You will end up sticking the negative to a piece of glass or a clear plastic acrylic sheet. So the paper borders will need to be removed entirely. 3. Take a sheet of glass or acrylic and place your negative face down with the dark side (the emulsion side) facing up. Wet the glass a little first to ensure a clean bond. Then gently wash the whole thing in water to ensure the sheet is sealed all the way around. 4. Once the negative is firmly pressed onto the glass you’ll want to get some regular household bleach, liquid bleach not the gel kind. The bleach is what removes the emulsion layer that is coating the negative. 5. Spread the bleach over the back of the negative sheet making sure it is entirely covered. Once you’ve fully covered the sheet leave the bleach on for several minutes. 6. With a gloved hand proceed to remove the emulsion from the negative sheet. You may use a little bit of water to help wash it away. Continue to remove it until there is no more emulsion left. Once you’ve done that you may now flip the negative over and gently, with out bleach, remove any emulsion from that side of the negative as well. You may use warm water if you need to. 7. Hang the negative in a safe area to dry. After the negative is done drying you may scan it onto your computer and voilà! You have your image. Well, the time has come, friends. If you’re like me, and so many others, your heart is likely to be in the same sad state after learning that Fujifilm is discontinuing its amazingly beautiful Acros 100 film. What’s not to love about Acros 100? Its grain is so fine it leaves you wondering if it’s even really there at all, it has wonderfully rich contrast, and the silky smoothness it provides to skin tones isn’t even fair to the other films. As we sit and romanticize over this gorgeous film stock it’s hard not wonder, what’s next? What film comes close to producing the same kind of fine grain, contrast, and wildly flattering smoothness? Is there anything out there? That’s where this post comes into play. Yes, Across 100 is beautiful. It will be sorely missed, but it’s time to move on. 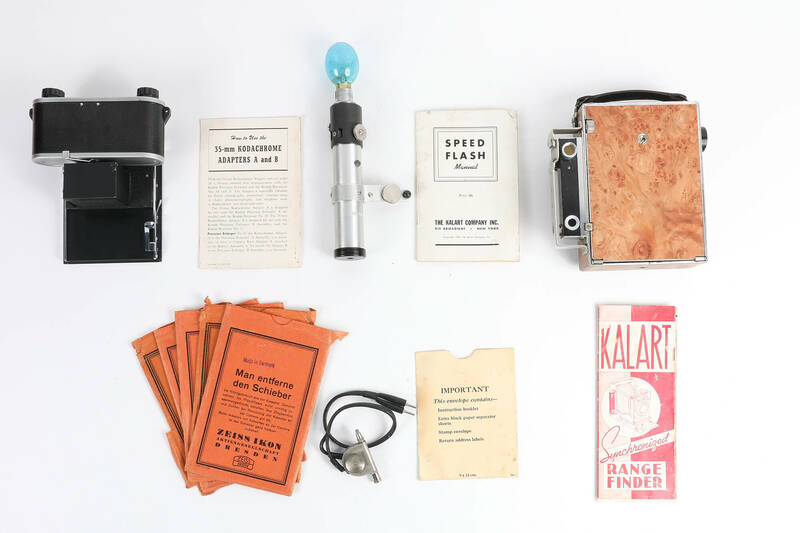 We've decided to test five different 100(ish) speed black and white film emulsions from the selection of film we offer here at Pro Photo Connection. When comparing so many different film stocks it’s hard to know where to begin. Let’s start with Ilford FP4 125. FP4 is in fact a 125 speed film, but since it is a professional BW film grade, and is made by Ilford, I thought adding it to the group wouldn’t be a bad idea. Even though its grain is much more noticeable than the Acros or TMax, we were impressed by its excellent contrast--the blacks are black and the whites are white, and somehow it still retains a lot of detail in the shadows. Now onto Kentmere 100, often considered a student grade non-professional film stock. Although I personally use Kentmere 400 on a daily basis because of its versatility and rad mid-tones, I was not super impressed with the 100 speed. The grain is definitely noticeable, it’s a little flat and its grey in the highlights compared to its competitors. Although I wouldn’t knock it entirely as it’s not far off from Delta 100 (which is in fact a professional grade film). It may have some minor flaws, but for its low cost I definitely wouldn’t mind having a few rolls in my camera bag for when I’m in a pinch and needing a 100 ISO roll. Delta 100 is another Ilford film that is also a professional grade film stock. It has great detail and rich contrast, along with a very fine grain. Though it is still not as fine as Acros, it absolutely deserves its spot in second place. Finally, we’ve come to our top competitor Kodak TMax 100. I honestly wasn’t expecting much from TMax; I personally shoot a lot of Ilford films). Not to say Kodak isn’t amazing, because they are, I just didn’t think Kodak would be top contender. TMax 100 blew my mind! Its grain is SO fine and its contrast, although a bit flat at first, can be adjusted to emulate Acros. 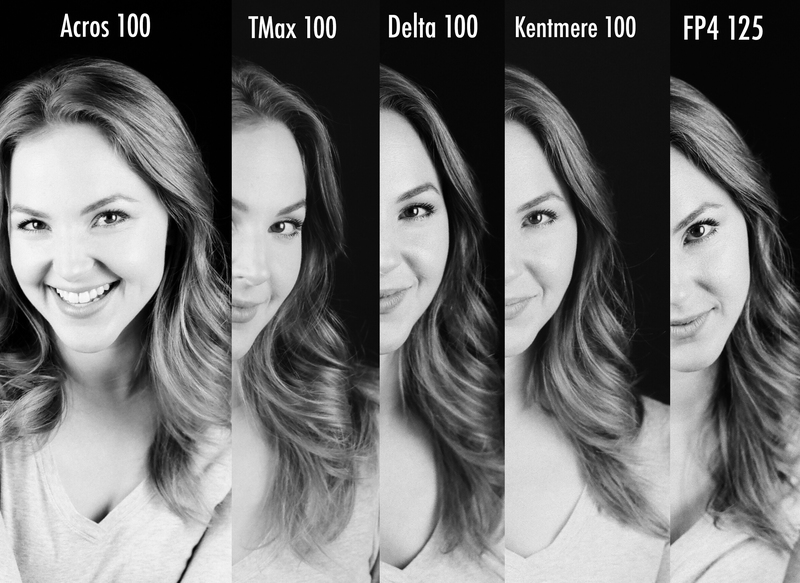 Although every film on this list is a wonderful choice for fine grain, TMax grain is the closest to Acros grain and with a few adjustments (levels, curves) you can get pretty darn close. So what’s the verdict? If you’re looking for an Acros replacement, TMax is your best bet. Each of the other film stocks, while unique, were simply a little too grainy to be a direct replacement. We love the look of Acros, which is why we chose to find out what film could best replicate it, but just because TMax 100 came in first place in this test doesn’t necessarily mean it needs to be your top 100 speed BW film. The great thing about having so many different varieties of film is that you get to experiment and develop your own “look.” We encourage everyone to go out and shoot anything you can get your hands on. Acros 100 will always have a special place in our heart, but it’s time to move on. TMax 100, I’m coming for ya! Note* All film negatives were shot with the same camera (Canon A2E), the same lens (Canon 50mm 1.4 USM), at the same shutter speed (1/90th sec), in the same exact lighting conditions, at the same F-Stop, and in the same developer chemicals (Clayton F76+.) It is important to note that different developing chemicals, cameras, and lenses (so on, so fourth) may yield different results. Beginning with the top photo, notice there's a distinct difference in the greens—they're bluer on the Frontier. There's also more contrast, even in the blurred background. 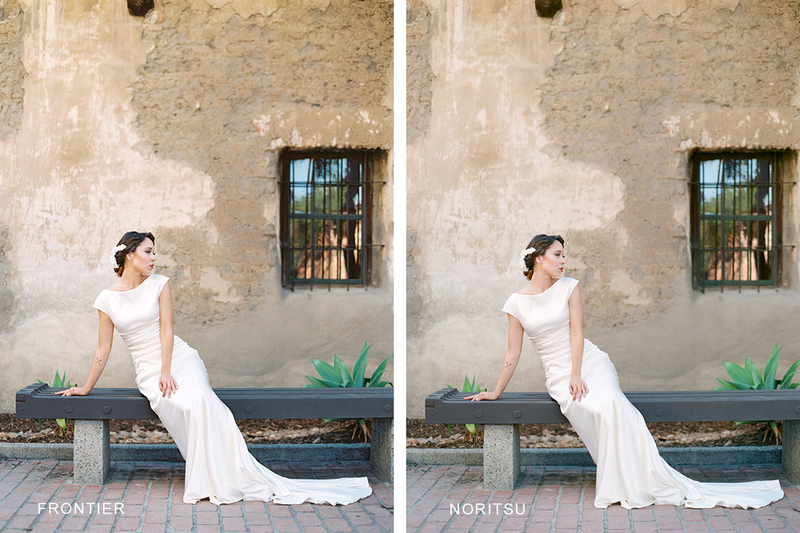 The Noritsu has more yellow in the greens and and less contrast, giving it a softer look. Great control over shadow detail. Best choice for "light and airy" images.